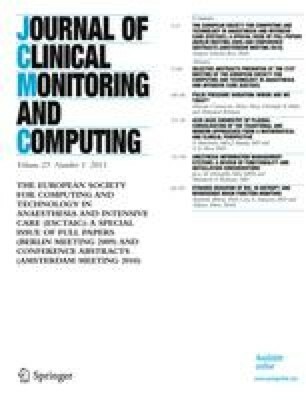 The objective of this paper is to assess the suitability of brain function monitors for use in closed-loop anesthesia or sedation delivery. In such systems, monitors used as feedback sensors should preferably be Linear and Time Invariant (LTI) in order to limit sensor-induced uncertainty which can cause degraded performance. In this paper, we evaluate the suitability of the BIS A2000 (Aspect Medical Systems, MA), the M-Entropy Monitor (GE HealthCare), and the NeuroSENSE Monitor (NeuroWave Systems Inc, OH), by verifying whether their dynamic behavior conforms to the LTI hypothesis. We subjected each monitor to two different composite EEG signals containing step-wise changes in cortical activity. The first signal was used to identify Linear Time-Invariant (LTI) models that mathematically capture the dynamic behavior of each monitor. The identification of the model parameters was carried out using standard Recursive Least Squares (RLS) estimation. The second signal was used to assess the performance of the model, by comparing the output of the monitor to the simulated output predicted by the model. While a LTI model was successfully derived for each monitor using the first signal, only the model derived for NeuroSENSE was capable to reliably predict the monitor output for the second input signals. This indicates that some algorithmic processes within the BIS A2000 and M-Entropy are non-linear and/or time variant. While both BIS and M-Entropy monitors have been successfully used in closed-loop systems, we were unable to obtain a unique LTI model that could capture their dynamic behavior during step-wise changes in cortical activity. The uncertainty in their output during rapid changes in cortical activity impose limitations in the ability of the controller to compensate for rapid changes in patients’ cortical state, and pose additional difficulties in being able to provide mathematically proof for the stability of the overall closed-loop system. Conversely, the NeuroSENSE dynamic behavior can be fully captured by a linear and time invariant transfer function, which makes it better suited for closed-loop applications. Bibian S, Dumont GA, Zikov T. Dynamic behavior of BIS, M-Entropy and NeuroSENSE brain function monitors. Bibian S, Zikov T (2010) NeuroSENSETM monitor with WAVCNS cortical quantifier: a deterministic approach to EEG analysis. White paper, www.neurowavesystems.com.